Shure is expanding its presence in Latin America with the inauguration of its most recent office in São Paulo, Brazil. 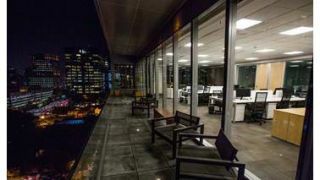 The São Paulo office’s 2,700-square-foot space includes an experience center, which incorporates four distinct areas. The retail center highlights the wired, wireless, and listening product portfolio, and the in-store promotional support available to all authorized resellers. The boardroom and conference room integrate the company’s Microflex Advance and Microflex Wireless AV conferencing solutions. The acoustically treated training room is an intimate, versatile space that easily converts from stage, to studio, to classroom. The inauguration event featured longtime Shure endorser Paula Fernandes, who joined guests for a special performance. In addition to the clients and partners who attended, Ray Crawford, senior vice president, global marketing and sales, and Mark Humrichouser, vice president, Americas and Asia/Pacific, also attended and participated in the official ribbon-cutting ceremony.